Could you be our next WrightStart Instructor?.. 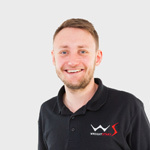 My name is Lewis Wright, co-owner and director of WrightStart Ltd, Derby’s unique driving school. I hope you are well and business is booming during this warm summer period, I know ours is. I’m wanting to find out if you’re happy with how your driving school or franchise is turning out? Is it working the way you wanted? Are you obtaining enough enquiries and converting those enquiries into customers? Do you get too many cancellations and not covering costs? Well I know how you feel, I’ve been there. When I first entered into this massively competitive industry I was naive, and probably like yourself thought that having a full diary would be easy and getting a decent salary to live off wouldn’t be a problem. The truth is, getting a full diary takes time and building a good reputation and referral basis is a long term task. So what did I do to get out of the costly financial situation? Well, that’s where WrightStart began. I took the key principles of business, took out the key flaws of many franchises and started WrightStart which today has 3 full time instructors, 2 administration assistants and 4 weekend staff that help run our Pre-17 driving experiences. If you’re wondering why I’m telling you all this, it’s for two reasons. The first is to show that there is hope for you and your driving school becoming successful and the second is to offer you an option: an alternative franchise that is like no other. At WrightStart we have huge demand for learner lessons and also Pre-17 driving experiences. Due to this demand we are currently seeking more instructors to join our exciting and innovative team to help us all drive forward and continuing growing, not only personally but also financially. I am more than happy to meet up and have a coffee if you’d like to talk about potentially working with (not for) us. In the meantime, please download a copy of our key franchisee benefits. If your happy and content with your current situation and are still reading this then I appreciate that an alternative franchise may not be for you. However I do have key contacts for your continual career development; whether that be Fleet Training, Classroom based tuition or even performance driving, I’d still love to hear from you. For the time being, keep working hard and stay safe out on the roads.